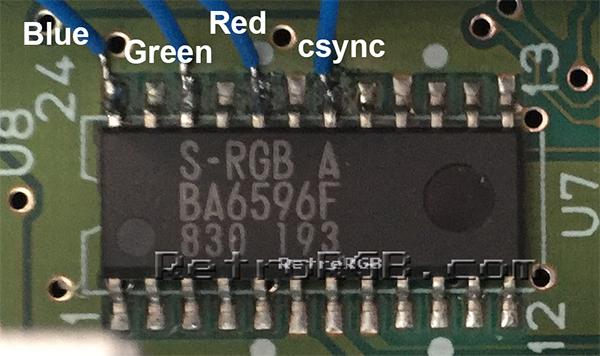 The SNES Mini doesn’t output RGB (or S-Video) natively, but both can be easily added with a mod. 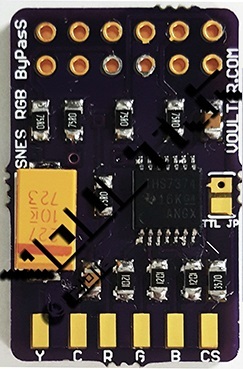 The SNES Mini has everything it needs to output RGB, but is missing the connections and basic circuitry. You can choose between using the Mini’s built-in RGB amp and adding the missing circuitry, or adding a newer amp and simply connecting the RGB lines. 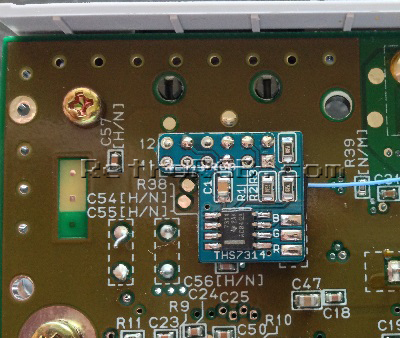 The newer THS7374 chips provide an excellent RGB signal. You generally don’t find them in DIY projects, as they are extremely small and hard to solder! Luckily, people have created pre-made amps that include all the circuitry you’d need right on the board! 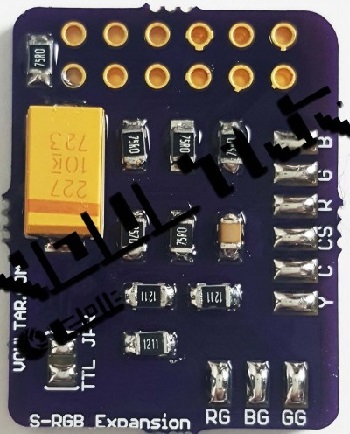 This makes installation extremely simple and only requires 4 short wires to be added to the bottom of the board. I recommend beginners use this solution, for ease of use, but some experts actually prefer the look of this amp to the onboard S-RGB Encoder. This method is essentially the same as the original DIY SNES Mini mod, however all you’ll need is wire! All components are included on the board, resulting in a much cleaner look and easier installation. Plus, this includes S-Video support as well! If you’re going to use the built-in amp, THIS is the method I strongly recommend. 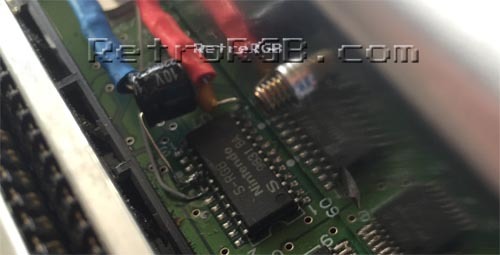 This method is sometimes referred to as the “3-wire” mod, since you’re essentially just connecting the three RGB lines (and sync), plus a few resistors, but that’s pretty much it. 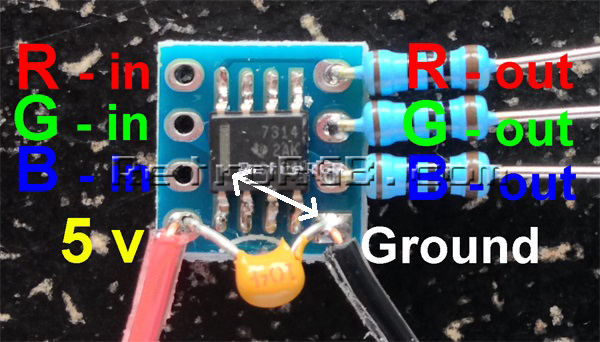 The biggest disadvantage is soldering to the S-RGB can be very challenging for beginners and if you’re adding other mods, the components can get messy. A reader emailed me to tell me there are counterfeit SNES Mini’s out there. I’ve never seen one, but if you’re worried about buying a clone, check out this page to make sure you have a real Nintendo-made system.